This venue is even more convenient than our previous one in Clyde Road. It is right beside Baggot Street, and a five-minute walk from Leeson Street or Mount Street, so it is well served by buses. Parking is abundant and free (after 7.00 p.m., which is ideal for our meetings at 8.00 p.m.). Norman & Anita O’Galligan have kindly permitted the use of their garden for this enjoyable event. Members are welcome to bring friends. Members will bring own food and drinks. We will be inviting the Chinese Ambassador and his staff of the Embassy and some of the members of the Chinese Students and Scholars association, who are mostly post-graduate students, so this could again provide an enjoyable chance to meet some of our Chinese visitors. UNESCO Heritage sites of China. China has a rich heritage and the UNESCO list now has over 30 sites and more are being added each year. This illustrated talk will cover some of the sites with photos and videos with special concentration on the Ancient village of Lijiang and the Naxi culture of Yunnan Province and a recent visit to one of the newer site at the Ancient City of Pingyao in Shanxi Province. 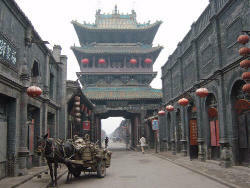 Pingyao is a walled city which had earth walls dating back to 700 BC. and in Irish translations by the poet Gabriel Rosenstock. and Paddy Bushe will discuss his translation of her poems. The meeting will be in the premises of the ICIC, at 63 FitzWilliam Square. 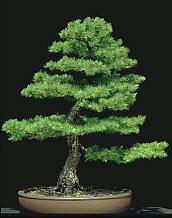 Bonsai is the cultivation of miniature trees, shrubs and vegetation, and has been popular in China for thousands of years, where it is a great outlet for artistic creativity. Paul Homan, a long-time enthusiast and grower of Bonsai, will talk on this fascinating subject, and share his experiences with us. 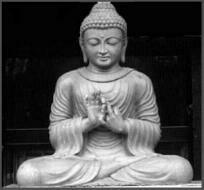 Anna's father became interested in Buddhism through his travels, and through meeting students from China, Burma and other far eastern countries. Since her early years, she has been fascinated by this wonderful train of spiritual thought. Tonight she will share her knowledge and insights with us.